What is the manufacturer and the model of this brake lever of a hydraulic rim brake? 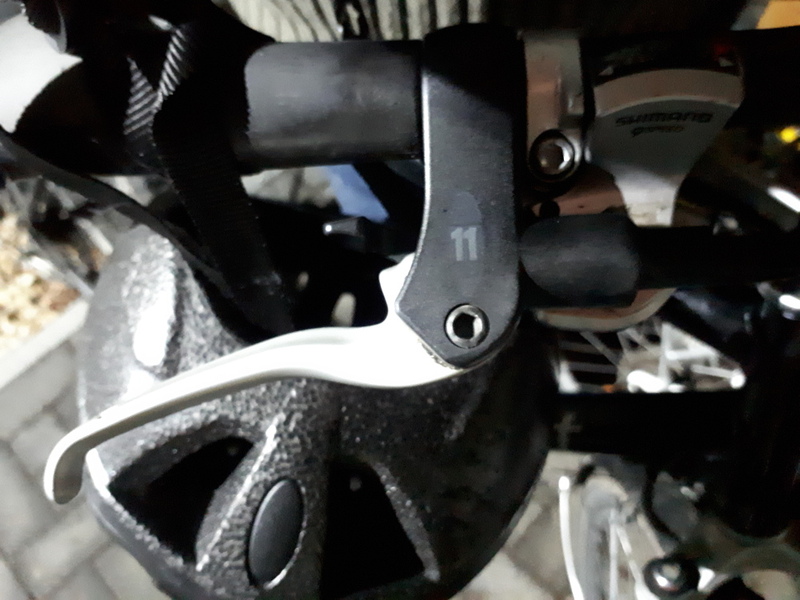 I am puzzled because it's connected to a Magura hydraulic rim brake caliper, and there is a 11 on it - so I always assumed that it is a Magura HS11. By web search, I could verify that it is actually not the HS 11 - but I couldn't find the real one. (Specification `11' directs reliably to the HS 11...) Does anyone know this type? Based on the picture here I would assume it is a Magura HS 11, but perhaps a older model. The link has a different color body, but the style is the same. Additional searching yields other similar results, some with the same colors even. Not the answer you're looking for? Browse other questions tagged brakes rim-brake brake-levers or ask your own question. Is it possible to reattach the v-brake spring/pin arm? Are road caliper brakes usually compatible with any model of lever/STI shifter?